The best start to the loop can be found by riding west towards the far end of field from the parking area. Trail is on the North side and heads towards the road into the cedar trees. Once you are through the lower trail (Kessel Run) then start by climbing Uptown or going straight through to Shack Wacky. Terrain is challenging, with lots of rocks and roots and climbing. 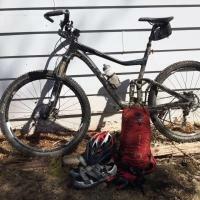 Review: great trails, very well maintained. needs more obstacles. Review: Something for everyone! great beginner, intermediate, and advanced trails. I am a beginner and was able to conquer a black diamond with only some difficulty. 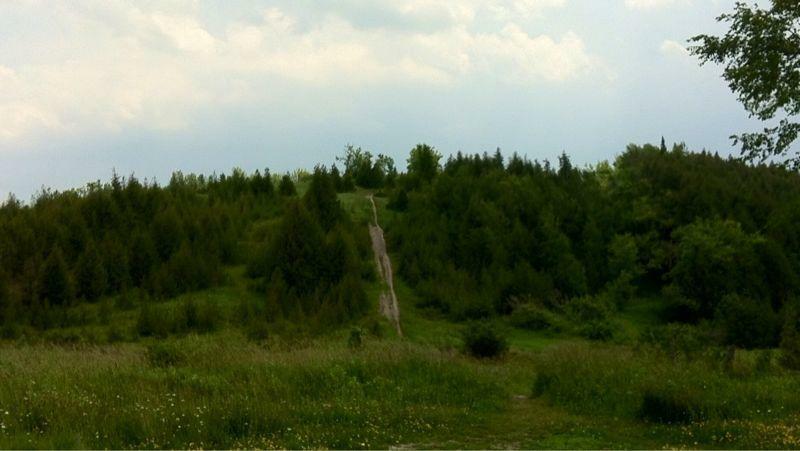 big, crazy fast hills, short, fast pace downhill trails, amazing berms, tricky and ruff long trails, lots of interesting rock and tree features, some are shown in the photos above. can't wait to go again, but is especially fun on trail day, as you can test out many demo bikes for Specialized, Rocky Mountain, and Norco. Even Joyride was there with their portable pump track and skill features. very enjoyable, great help and knowledge if anything goes wrong, defiantly the best trails within a half hour of peterborough! 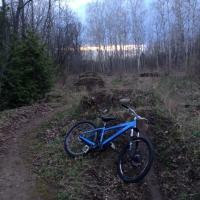 Review: the trails are regularly used and seems to bring a good variety of riders. trials are challenging but fun with plenty of uphill to get that heart rate to near bursting, but the downhill single track is defiantly worth the climb. its free and its probably the best thing around that i know of just outside of peterborough. Review: Excellent trails. Always expanding and maintaining. Something for everyone here. Fast flowing trails to tight technical. Review: Really nice trails in a compact area. Lots of climbs and descents with tight switch backs. Trails for entire range of skills. Can be wet at base of hill. 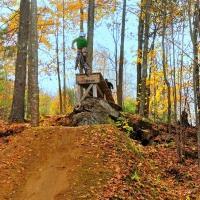 Review: Found Haroldtown while googling for new places to ride within an hour of Oshawa. First time there, I took a hardtail 9er [a CCM POS]. I was humbled by the quick twists and turns in the lower woods just west of parking lot. Part of my intimidation factor was my lack of skill at the time and dark sunglasses in a very shady and dark course. Next time, I had many more hours of experience from Long Sault CA and 2004 Giant NRS Air that I had just bought used. Much, much better. More skills, 26 wheels, clear eye protections, full suspension, etc and I was able to ride the lower technical woods with only a few spots where I needed to jump off bike. And I made it up the switchbacks to the top and down the long run back to parking lot. I've been back a couple of times since and it gets better each time. Most recently was in June for the Wildrock/Trek/Specialized Demo Day. 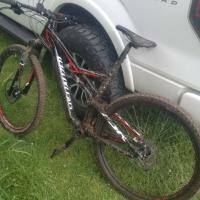 Took an Epic Carbon 29er with brain and 1x10 drive train and it was perfect for there. The bike was over $7Gs so I'd hope so, eh? I'm shopping for a 650B Trance or Camber for next year. Would love to try it at Haroldtown as it may be small area, it has it all. PS: When going up the switches, be sure that you are on the right trail. One is designed to ride down and you'll soon know that as you try to go up.  I gave it a 4 only because it is a small area. Worth the drive tho. Review: This is an awesome trail system with trails for everyone especially if your still on a 26er with narrow handles if like me you've converted to somthing bigger Beware that some tight corners almost require a complete stop and at some points between trees I actually had to push my bike through or alternatively punch to trees at the same time But that seems to be only the case on the older trails ( and this does not mean you should not try them :) ) Love it recommend the drive I am going back 1:10h from my home By the way if you are new to this system I disagree with the start route recommended bite the bullet go straight up the the hill out front and choose a trail down. But in all fairness I just go for the ride not fitness. Does that make me a bad person? Review: What a fantastic ride!! extremely well maintained!! Trails for every level of rider. I'll be back!! Harold Town Ca MTB Trail 4.62 out of 5 based on 26 ratings. 26 user reviews.